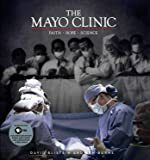 I had an older version of the Mayo Clinic Family Health Book and wanted a later version which was delivered within a couple days. Ten years ago none of my doctors were able to diagnose my many problems. I went through our Mayo book page by page and found that I might have and do have Celiac. Gluten was not in my vocabulary at the time. Thanks to the Mayo Clinic book for helping me diagnose my Celiad/Gluten problems. I admit, I wouldn't be here without that Family Health Book guide and being gluten free for the past ten years. 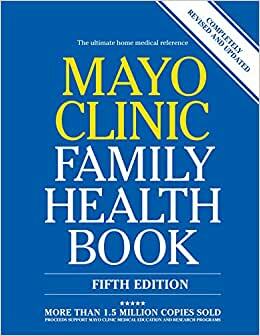 I bought this for a friend who had used her Mayo Clinic Family Health Book since the 70's. I thought she might need an update since this was 2018 - almost 50 years later. She LOVES her new edition, and I was so impressed with its scope, that I'm ordering another copy for myself. I know we tend to go to the internet for health issues, but this is just so handy, and detailed in an easy format. Doesn't get any better than this one for a home reference health book. A great go-to reference. Have used it twice already to correct/ help our local PA to get his diagnosis and treatment straight. Not joking about this. 5.0 颗星，最多 5 颗星Excellent and Trusted Information. This is the best medical guide to have in my home. You can trust Mayo with any medical concerns you might have.